Whatever Brahmanandam does is hilarious. After doing numerous comedy roles, Brahmi has turned into a rapper now. Yes ! you have heard it right. 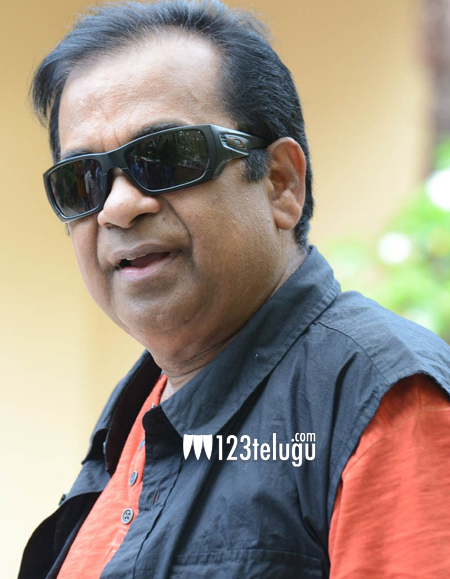 Brahmi will rap for some portions of a song in the upcoming film Geetanjali. Famous rapper and pop artist Baba Sehgal is singing this song, where Brahmi will be doing some hilarious rap singing. Shooting of this horror comedy is almost complete, and Anjali plays the lead role. Kona Venkat presents this film which will hit the screens soon.